Yi Yi Win, Zin Thu Zaw and Ye Kno Naing, Mae Sot Municipal Dump Yi Yi Win (31) and her family have been living in the Mae Sot dump for a year, with around 200 other Karen migrants. To get the best pickings, they have built their house close to where the trucks offload twice daily. Many of the families living here worked in the teak forests in Burma, but as the trees were depleted so the work faded away. Unemployment and inflation are so high in Burma that despite the poor pay for work in Thailand, many families cross over to work as 'day labourers' for B50 (75p) a day. In comparison, working in the dump can be much more lucrative. 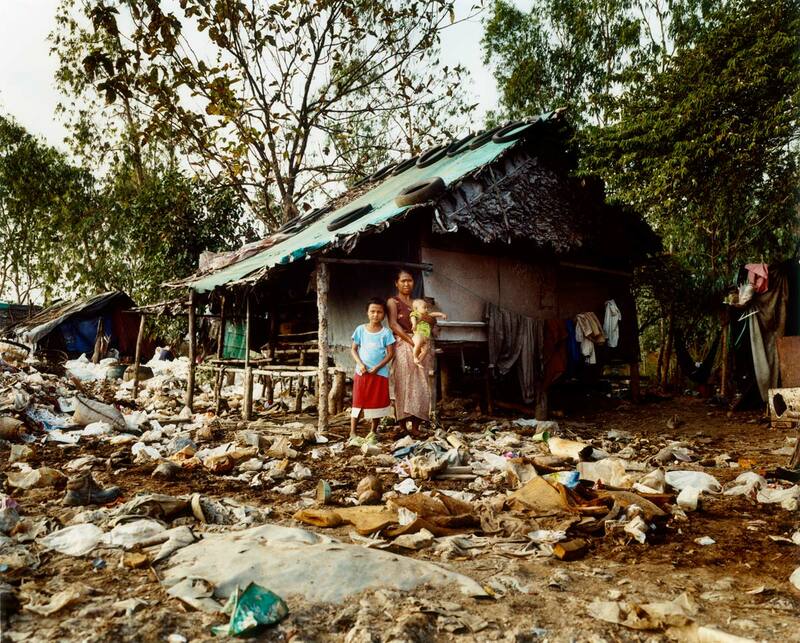 Given the filthy conditions in which they live, there is a great deal of illness in the dump community; malaria, diahorrea, eye infections and malnutrition for a start. Yi Yi Win's eldest daugher Zin Thu Zaw (9) attends a migrant school nearby called Sky Blue, which provides a meal a day for each of its pupils, making a huge difference to their health. The school has broadened horizons for these children of the poorest of the poor - before it opened they had no thoughts of any life other than that of a migrant worker, now at least they can imagine a different future. Zin Thu Zaw has ambitions to be a doctor.